Sadly, it's a resistive touch screen and so requires a bit more force than I'd want to use on something that's only supported by the physical USB plug. (I'd also switch the screen orientation back, obviously.) 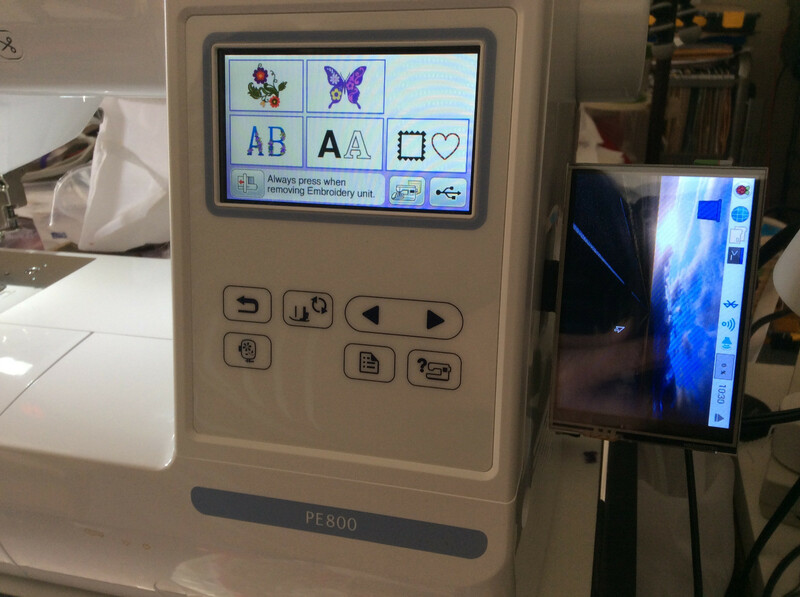 Mostly I was curious to see if the embroidery machine provided enough power. Not that a Zero and tiny screen like that have a *huge* draw.